I love my bedroom. Like my kitchen, it was decorated on a budget and has remained pretty much the same for almost a decade. I love the color of the walls, our antique rock maple bedroom set and our king size bed, which is the clear focal point of the room. The bedding is always white. 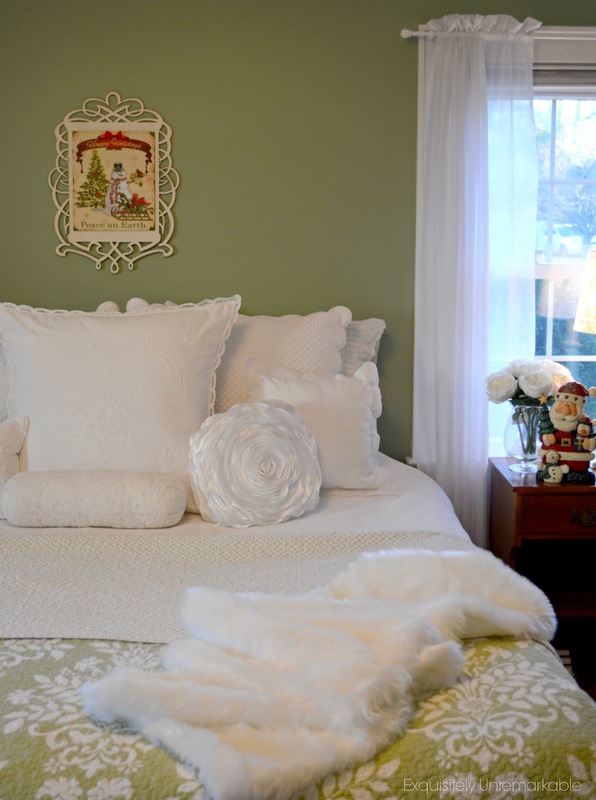 I change out the top quilt seasonally to add a pop of color, but there is something about the white pillows and base that I find enormously pleasing to the eye and soothing to the soul. The bed is flanked by two nightstands and two white lamps. A very few precious accessories are placed on the dresser. Last year, in an effort to give the room a cleaner look, I cleared out a lot of the accent décor. I love that there are two chairs in the room, a his and hers, if you will...a rock maple one that matches the set for him and a comfy white slipcovered one for me. I have to say that all in all, the room has always been perfect. Don't get me wrong, I really do like the table. I love its circular lines in contrast to the angles of my dressers, the finish blends perfectly with that of the maple set and my eye is drawn to that sweet little drawer. And unfortunately also right to those nasty cords! I bought the piece to replace one of those fabric covered decorator tables, in my effort to streamline the room. For a year, I tried to figure out how I was going to camouflage those cords. Could I add a false back to the piece? Perhaps I could create a skirt, but wasn't that the look I was trying to get away from in the first place? Every night I got into bed and, until I turned the light off, I was annoyed and aggravated by that tangle of cords. Petty, I know, but I have design OCD, so I think it qualifies me for a medical pass on this one. Then one day, I remembered a sweet piece that my husband had built for me, years ago. Our antique bedroom set only came with one nightstand, so my fabulous husband build me a custom one. Now he likes symmetry in his home décor, so when I was able to track down a matching rock maple nightstand on Etsy, his lovely treasure was retired to the basement, which was no place for it. I mean my husband made it! So we brought it back upstairs and it has solved my design dilemma. The electronics are hidden inside and the cords are snaked out a hole in the back. My bedtime view has improved considerably! As a bonus, I got a new nightstand out of the deal, which works out perfectly for me, since I was never really a fan of the matchy-match look! Do you have a design dilemma that has you stumped? Serene, calming and pretty! Perfect bedroom Kim, glad your happy! Thanks for your sweet words, Vel! It's much nicer to crawl into bed and look at that lovely piece than a bunch of dusty old electrical cords! 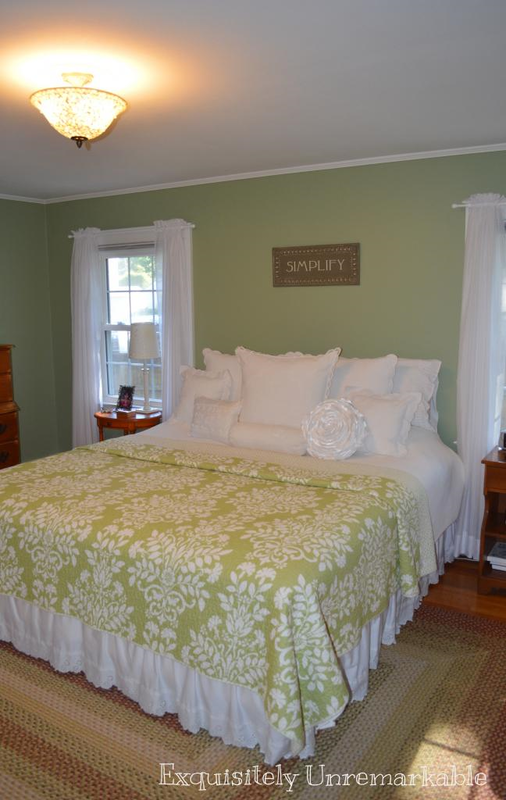 I love that coverlet! It's so pretty! My whole house right now feels like a design dilemma!! We've outgrown it and are bursting at the seams! I love the symmetry (I tried to spell that word in a post on HomeTalk and failed miserably!). Nice clean lines. Not a lot of clutter. (Clutter makes me crazy - and I'm really crazy!) The homemade piece works very well to get rid of the cords. I was actually thinking, as you wrote, a skirt across the back, but wasn't really too thrilled with that idea myself. See! Great minds think alike! You always have some cool stuff. Thanks. I need to add you to my 'favorite links' page over at my (somewhat abandoned) blog. www.itsomuchfunwatchingod.blogspot.com And maybe I should post something else, too. Nancy thanks so much for the nice comment! We do think alike, as clutter drives me crazy, too! I am following you on G+...you should post again! I really enjoyed your wreath post...it's actually on my crafty to-do list! Perfect solution, Kim. 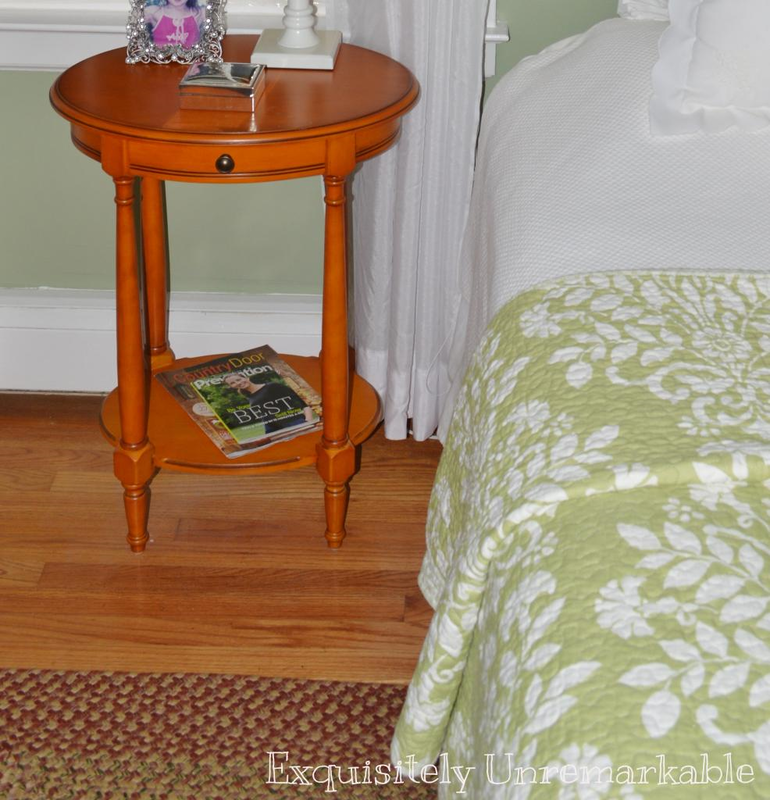 That little table works so well next to your bed. I think your husband created a wonderful piece, and it does belong where it can be seen. (What a bonus that it solved your decorating dilemma.) 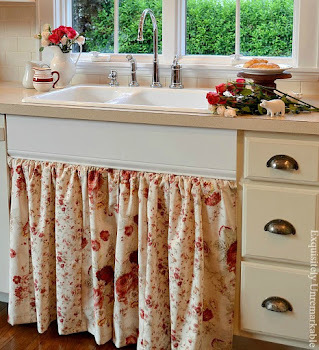 I'm a firm believer that handmade items make a home special and interesting. I like your bedroom a lot. Your home is so refreshing and delightful, because it reflects your sense of style. I love it! Very serene feel here. Nice things but not too many! Our master bedroom is on my "project list" but not scheduled til March. Meantime I'm hunting for all the pieces for my design puzzle. That's the most fun part anyway, so I can wait. I totally agree, Cheryl, the hunting is always my favorite part, too! Can't wait to see what you come up with! WOW I love your bedroom. That color is to die for! That piece of art explains exactly how I feel about it. It is simple and elegant. Great job decorating it yourself. I just moved into a new house and I am also decorating everything myself. 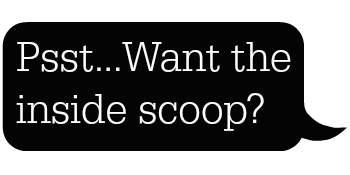 Just started following you on GFC, can't wait to see what else you share! Angi, thanks so much for popping by! The walls are Sherwood Green by Benjamin Moore for reference. It really is a great color! Your room is so soothing and calm, I like the white too. The table works perfectly to hide your cords, its so pretty! Thanks so much for stopping by chapter37 and for your kind comment. Abby, you were sweet to stop by, thank you for your kind words as well! That worked out great! I really like the piece your husband made and it's perfect in that spot.Your white bedding with a colorful quilt or duvet is exactly the look that I love too. All of our beds have slowly been switched over to that look. It is timeless and so much less cluttered looking. Love your white sheers on the windows too. Stacey, thank so much for popping over to weigh in! I do love the white bedding with the quilt on top. Unfortunately, it has become a bit of an obsession, I see so many pretty quilts that would look amazing, but I do not have enough money or storage space to buy them all! I would be changing the bedding every week! Kim, I think we have the same, soft green on our walls, yours in your pretty bedroom and mine in the sun room! It's so calming and cozy, isn't it? I love what you did with the accent table to hide the ugly cords, (you are not alone, my OCD decorator!)! The beautiful maple finish on your new night table is gorgeous, as well as the style. Less is more, in my opinion, and especially, in room where we sleep, as too much clutter, both on the floors and the walls, just detracts from the whole idea of relaxation and clearing one's mind for rest! Charming! Kim, I love your taste! I think I will hire you to make magic with my whole house! The room is just beautiful and you found the perfect fix for your problem. Thanks Carol...and it got that pretty piece out of the basement, a win-win! 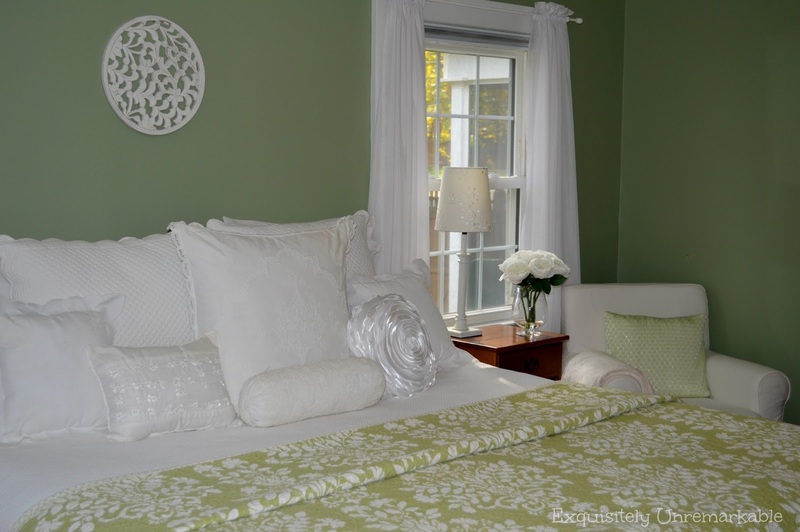 What a beautiful bedroom...the soft green is so relaxing and soothing. We have that color here in our lanai, where I am sitting right now. It's very restful. We had a terrible time trying to figure out our library and living room. I have a post ready for next week about it. Enjoy your week! I do love the green...at first I thought it looked a bit like an old school chalkboard, but once I put everything in the room, I feel in love. A lanai sounds dreamy! Can't wait to see your post about your rooms...I am a décor junkie! I love the white pillows! So elegant! Thanks Jennelise! I don't have a headboard, so all those dreamy pillows serve a real functional purpose too! Hi Kim... The new piece looks so good in that spot! I hate cords too and am always battling how to hide them! The cords are a necessary evil I suppose, but I am so much happier now that I can't see them, Wendi! I just love your bedroom colors and the simplicity of it all. It looks like a lovely retreat where you can relax. Thank you for sharing with the Clever Chicks Blog Hop! I hope you’ll join us again next week!